The Myrtle Beach Marathon, one of the flattest and fastest races on the East Coast, celebrates its 22nd year on March 2, 2019! There's a distance for anyone - full marathon, half marathon, and 5k! Whether you're looking to qualify for the Boston Marathon on one of the flattest courses around, or you're looking for a fun weekend getaway with the family, the Myrtle Beach Marathon race weekend has it all! 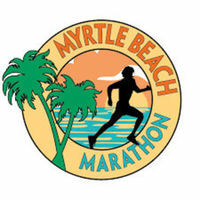 The Myrtle Beach Marathon and Half Marathon will start just North of the intersection of Grissom Pkwy and 21st Ave N and will finish at TicketReturn.com Field at Pelicans Ballpark, 21st Ave. N, Myrtle Beach, SC. The 5k will start on the Boardwalk and will finish at TicketReturn.com Field at Pelicans Ballpark, 21st Ave. N, Myrtle Beach, SC. All participants must register online or complete and sign a registration form. A parent or legal guardian must sign for participants under 18 years of age on race day. Marathon participants must complete the course in 6.5 hours. Half Marathon participants must complete the Half course in 4 hours. Participants in the 5K must complete the course in 1 hour. Expo registration is strongly discouraged. Runner shirts cannot be guaranteed for Expo registration. Event registration will close without notice when the established registration count for that event is reached.